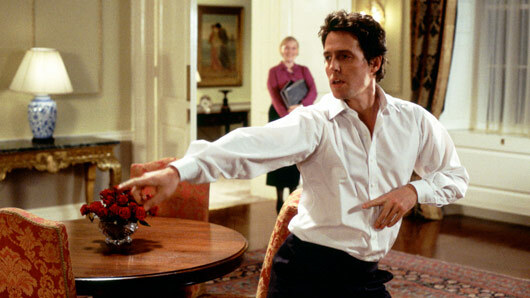 Richard Curtis is currently writing a 10-minute follow up to Love Actually for this year’s Comic Relief. No, your eyes do not deceive you! Everyone’s favourite British romcom is officially making a comeback. The Love Actually filmmaker has teamed up with the movie’s leading stars Keira Knightley, Colin Firth, Liam Neeson, Bill Nighy, Thomas Brodie-Sangster, Andrew Lincoln and Rowan Atkinson for an exciting sequel: Comic Relief Actually. The 10-minute follow up will air on BBC One as part of their Red Nose Day coverage on March 24, and viewers will get to reunite with all their favourite characters further down the line. Richard talked about how much he has enjoyed working on the script. He said: “Over the years I’ve enjoyed doing Red Nose Day specials of TV things I’ve worked on – Blackadder, The Vicar of Dibley and Mr Bean. The filmmaker also expressed his gratitude to all the big names from the movie who were willing to get involved with the sequel. Comic Relief Actually will air March 24 on BBC One.